I am Kitajima Kaede, and I am not really good at dealing with people. I'm also the class rep. In the years that I haven't seen her, she's grown into a cute, outgoing girl who has become a famous model. And yet she calls me out from afar and clings to me, heedless of the stares people give us. Because I don't like to stand out, I instinctively act coldly towards Sara. "I want everything there is you." Such joy, such bliss and such embarrassment. What's to become of me? The system is perfect, as usual! Both Kaede and Sara are fully voiced. There is a CG gallery mode, a scene replay mode, and of course you can view the backlog and repeat voice samples at will. You can adjust the volume for the background music, the sound effects and the voices separately, and you'll find yourself reaching out to "scratch" yourself often. Why don't you try hanging out with Sara for a while. She is spunky, naughty and very sweet. 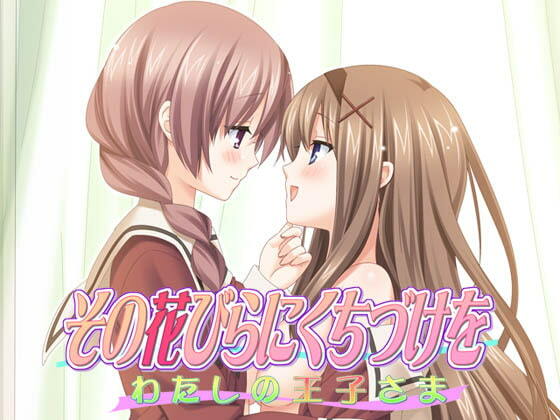 First let me just note that I found the first yuri game by fuguriya slightly better for two reasons... First, I felt the artwork in this game was toned down, not in terms of the action or the quality, but the colors all seemed a little dull to me. Second, I just liked the character design in the first one better. Those are just personal preferences though. Now let me just say that the quality of this game is great and if you're into yuri with a cute story and voices, nothing's better. Scheduled release Jun. 21, * Release schedule subject to change.